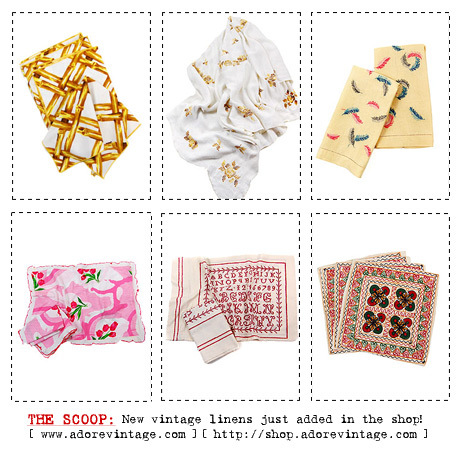 ADORED VINTAGE: Shop Updates: 6 New Home Linens! Shop Updates: 6 New Home Linens! New housewares, at last! That section kind of gets neglected, but I solemnly swear to give it equal attention as any other category at AV. YAY! Pretty things for your home! Click on image to view latest additions to our Housewares/Linens section!